I have researched and studied many methods of evangelism and how people are led to put their trust in Christ and follow Him. A lot of times theologians, authors, and ministry leaders focus on the actual “conversion” event when someone accepts Christ as their Savior. That is important and a key step in accepting Christ as the Bible states in Roman’s 10:9 that all you have to do in order to be saved is believe in your heart and confess with your mouth. What I have found, is leading up to taking that final step and becoming a Christian is a process. It is a combination of multiple events over a period of time, each of which leads someone a little closer to Christ. These “events” or “God moments” can take various forms and are simply God’s way of colliding with our world to pull us into His. It could be something like God trying to speak to you through lyrics of a song. That actually happened to me once when I was living far away from God as a college student at the University of Georgia. It was about 2:00am in the morning and I was driving home after a late night on the town partying. All of a sudden this song by U2 comes on the radio called “If God Would Send His Angels.” As the song played, I literally thought that God was speaking directly to me through my radio. It kind of freaked me out but it made an impact on me, got me thinking, and I still remember it twenty years later. Crazy, I know, but that is how God works. Other “God moments” might be disguised as a random encounter with a Christ follower that God orchestrates or that little voice inside of you that urges you to do good when you are faced with a difficult decision. The list of these “God moments” or “events” are endless and probably look a little different to everyone. What we have done with Encounters of Hope is provided an easy way for believers to create these “God Moments” in our modern day culture. They are completely orchestrated by the Holy Spirit, who leads you to someone God wants to reach. 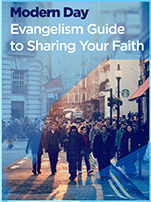 Here is one story of many we have seen of this happening with our evangelism tool. It was a beautiful, spring day and my wife and I decided to go for a stroll in the park. There were lots of people enjoying the amazing weather and relaxing. As we walked around and took it all in the Holy Spirit spoke to me and said I needed to hand out a gift card. At first my thought was to simply walk up to someone and give it to them. Then the thought hit me…what if I truly put this card in God’s hands and let Him decide who was going to get it. I thought it would be cool if I simply taped it to a bench at the park with a little note and see what happens. I ran to the car, got some tape, a pen, and paper and implemented the plan. As we walked away I wanted to hide out in the bushes and see what happened, but my better half said we just had to let God do His thing so we left. Later that day, we got the email notification for the card activation and a short note from the lady who had gotten it. To say the least, I was blown away. Terry had been at the park that day and just happened to find my gift card on the bench. That morning she and her husband had woken up to a basement full of water. The entire basement was flooded and was going to cost a lot of money to fix. This was truly a “God Moment” that the Holy Spirit had put into motion. Terry was not a Christian, but through a random encounter was exposed to the message of Christ when she really needed it. She saw that there might actually be a God who is in control of things and wanted to show her a small glimpse of His love for her that day. Like I said, there are many more stories like that, some of which you can check it out here.